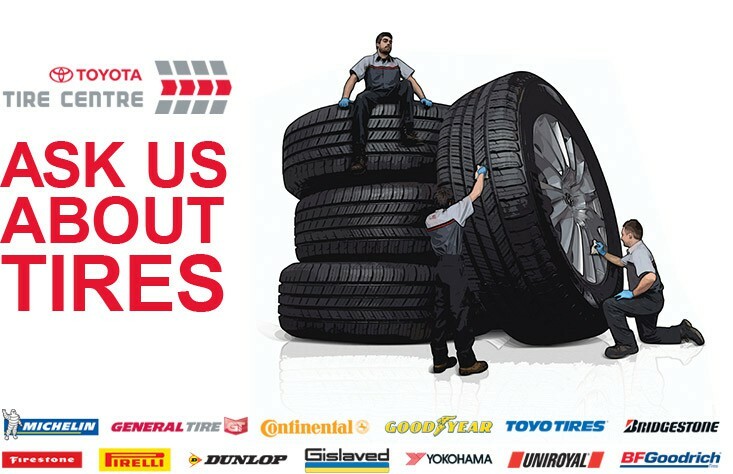 Welcome to Moose Jaw Toyota’s Tire Talk page. On this page we will discuss the types of tires, tire maintenance and help you choose which tires will be the best fit for your Toyota. Summer Tires: Hard rubber compounds are designed to have long lasting wear in warm weather and the most rubber in contact with the road. That’s why they have less grooves. All Season Tires: A combination between summer and winter tires and are not optimal in either condition. They are a happy medium between summer and winter tires. Winter Tires: Softer compounds that remain flexible in colder temperatures. They have more grooves and siping to provide superior traction on ice, snow and slush. Do you know the “7 Degree Rule”? Winter tires are particularly effective under difficult environmental conditions such as snow, ice, mud and at low temperatures below +7 degrees Celsius (44.6 degrees Fahrenheit). During the winter season, tires play a crucial role in the vehicles overall safety and performance. 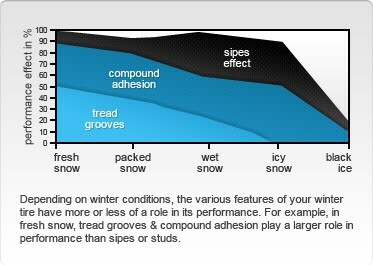 As temperatures drop, standard (non-winter) compound characteristics show decreased elasticity. This results in a reduced contact area and therefore overall grip. 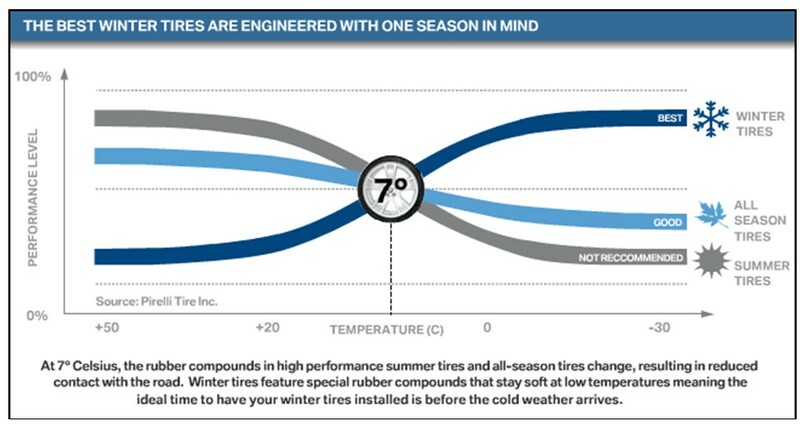 The need for greater mobility and understand the benefits of winter conditions has led to high demand for winter tires. To better understand the benefits of a winter tire, we must understand that is properties are geared towards “cold temperature” performance. When do I replace my tires? Over time, tire tread depth decreases as the rubber compound is worn off in daily use. As the treads wear, time performance diminished. When the depth becomes 4/32 of an inch, you should begin to think about visiting us at Moose Jaw Toyota to replace your tires. When do I rotate my tires? Toyota Canada recommends that tires be inspected every 6 months or 8,000 km and rotated as required. Early and regular tire rotation is one of the best ways to extend the life of your tires and enhance your vehicle’s handling. Longer lasting tires translate to lower overall costs and help ensure that tread wear is even* among the four tires. * Uneven wear occurs when forces are applied unevenly to each wheel position. For example, in front wheel drive vehicles, braking, steering and driving forces act more strongly on the front wheels than the rear wheels. Which tires are right for my vehicle? Everyone has different criteria for selecting tires for their vehicle and with a wide variety of possibilities available, it can be a lot to take in. At the Moose Jaw Toyota Parts Department we will be happy to assist in helping you find tires that will fit you and your vehicles needs.